First, let us go back in time for a while and find out why Outlook has been equipped with such a feature as security warnings. Naturally, it was introduced for a reason: viruses like ILOVEYOU and Melissa, which ravaged cyberspace in the early 2000s, propagated themselves across the Internet by sending messages with innocent-looking attachments to all or some of the addresses from Outlook contact list on a infected computer. In the aftermath of this outbreak, Microsoft realized the necessity to reinforce the security of its email client, paying a special attention to Contacts and automatic messaging by third-party applications and tools. Presently, only COM add-ins and a few programs from the list of trusted applications can access your email database and send messages on your behalf; any other plug-in or program will need your permission, especially if a program was developed before the security system introduction or after the latest trusted apps list update. 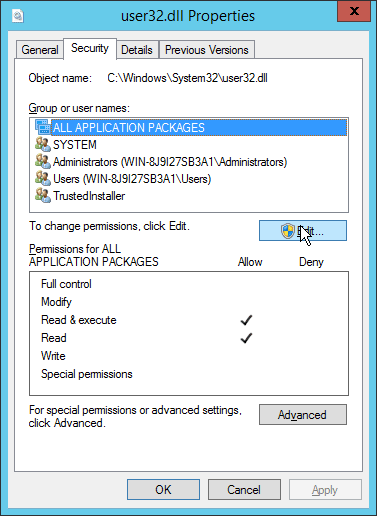 As you may have noticed, the first principal drawback of this security system is that you don’t get to set up preferences once and for all, as Outlook does not allow managing the list of trusted applications. What is more, you can’t even see what exactly triggered the alert, so you never know for sure if you are making the right choice by blocking or allowing the action. In other words, what Outlook tells you is, “Hey, something has been going on, and if you think you know what is happening, press OK.” As much of a paradox as it may sound, Outlook security system is not only unbreakable, but also quite useless due to a lack of transparency. Speaking of possible workarounds for this issue, some users choose to disable Outlook security for good, or for the period during which they know they are going to use Contacts through other applications. Needless to say that in the era of constant cyber-vigilance such steps cannot be advisable, let alone preferable. Another solution involves meddling with the source code of the macro or script that sends messages and changing SendObject command to SendMail(). Please be advised that it only works with open-source software. If this doesn’t ring a bell to you, and you are not in the least enthralled with the idea of learning programming from scratch in order to harness Outlook security system, you might like to learn about a different solution. Not only is this solution simple and elegant, but it is also safe and does not require any special skills to deploy and use. 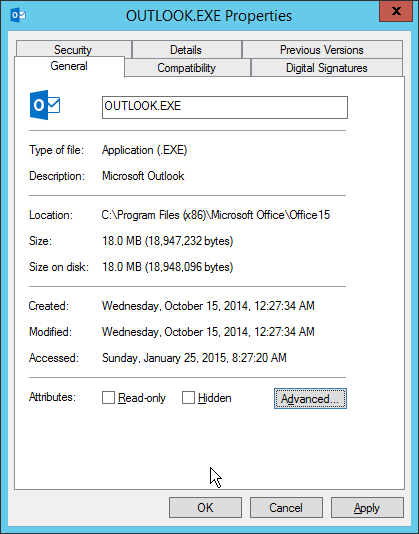 The tool you need is a free add-in by MAPILab called Advanced Security for Outlook. It presents a logical and smoothly integrated extension to Outlook security system, which enables to put an end to irritating warnings without compromising on your safety. Once a program, tool, or script tries to access email addresses stored in your client, and Outlook blocks this attempt and issues a warning, the Advanced Security add-in complements this alert with two principal elements: the information about the trespassing piece of software and a choice of actions for future incidents with this violator. That is to say, you will know exactly what program has caused the alarm to go off and decide whether you want to block or allow access for this program in the future. 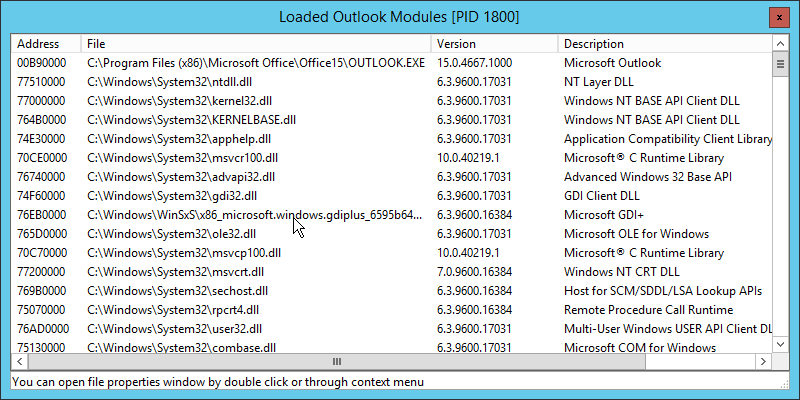 In addition, there is an option to run the default Outlook handler, if you do not want to make a decision right now. If you are in need of more detailed information, the add-in has three extras, namely Outlook Modules List, Action List, and Process List. You will be able find them in your list of installed programs. Such powerful transparency features enable you to manage status of programs and monitor the behavior of programs and processes trying to gain access to your email client. And last, but not least, this add-in can be highly useful for certain developers’ tasks involving methods that are blocked by the Outlook object model guard. In conclusion, though Outlook security warnings can be annoying, they still deserve our attention as part of our digital security system. In order to save effort and not to get distracted from work, you can make use of Advanced Security for Outlook add-in, a concise and efficient add-in that displays the cause of an alert and automatically applies your choice in the future.